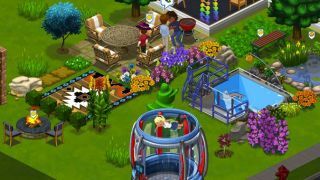 Zynga's health has been questionable as of late, and today the once-mighty social gaming platform announced it's severing support for four once-popular games. The Ville, Empires and Allies, Dream Zoo and Zynga City on Tencent are all getting the ax. One bright spot is that Zynga is launching Draw Something 2 today, a title it hopes will catapult to success in the wake of the original. Though the company made money this past quarter, its daily active users were down 21 percent from the same time last year and down 8 percent from last quarter. Monthly users numbers also took a significant hit, and as the company continues a "transition year" into mobile and becoming a platform for third-party games, we can only hope Zynga figures out a way to keep from going belly up. News is kind of a big deal, but we like to make it as easy to handle with our nibbly blips.